Turtle nesting at TRACC is commonplace, with a nest almost every week through the year, there is a great spectacle of National Geographic proportions happening all the time. 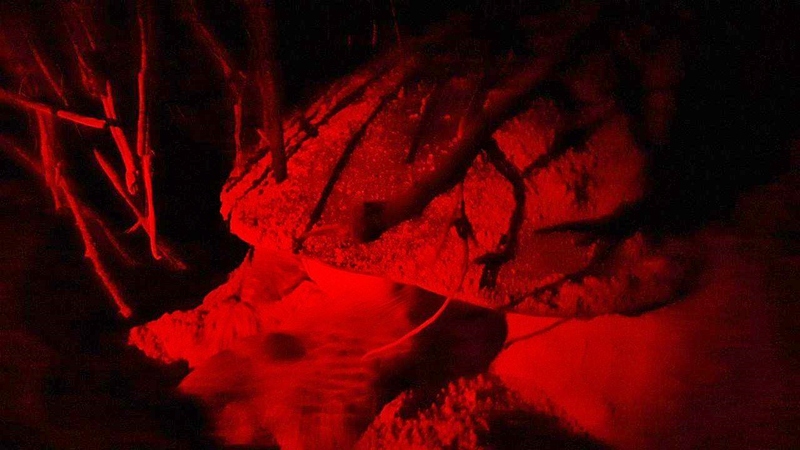 This year 2016, we have had nesting turtles since January and yesterday (22-09-2016) in a stroke of good fortune, we had two females emerge to nest within a few metres and a few minutes of each other. Moving 100+kg across the sand on your belly is hard work. Standing within metres of a nesting female as she scrabbles through the bushes puts wild life and wild places into perspective. For me, its amazing that all TRACC staff and volunteers can get up close to real endangered species that have been on the planet for millions of years. These are real experiences of life on the planet - upclose and personal, rather than images carried by the internet to millions of people. A short distance down the beach from the TRACC camp and it is easy to imagine that Sir David Attenborough is also on the beach - talking to the cameras that will carry the images of prehistoric reptiles across the world. 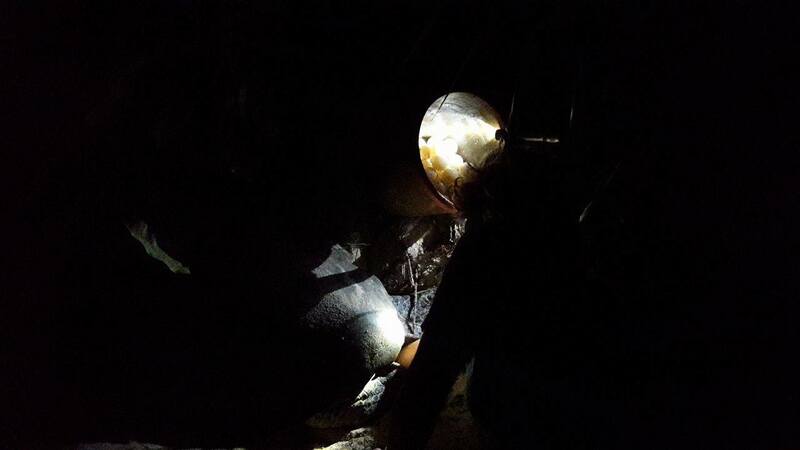 Chambering involves digging with the back flippers. Volunteers and students who are seeing these amazing creatures for the first few times are always suitably impressed but the excitement for the staff varies in intensity depending on how much sand the turtle throws. It is always a balance, shower at the end of a diving day, or wait to shower after being covered in sand and turtle mucus. 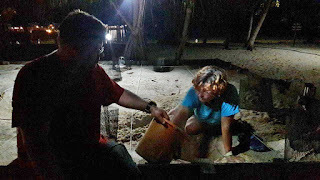 There is still a great sense of achievement as the new turtle nest is dug in the hatchery where the eggs will be safe until the hatchlings are released to run down the sand to the sea. We are so lucky to have these opportunities, a few years ago getting to Pom Pom Island and turtle nesting beaches was a logistical nightmare. 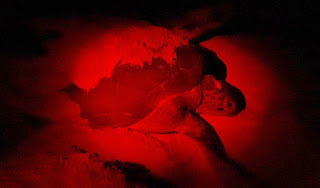 Now transport and access is easy, our role is to balance the needs of the turtles so that tourism and development actually benefits these wonderful reptiles. A job well done, eggs safely into the hatchery. Turtle, shark or Reef conservation would not be possible without the generous financial support. We thank GEF/SPG for Malaysia who are helping our community activities, and coralreefcare.com who generously provide materials to build more reefs.